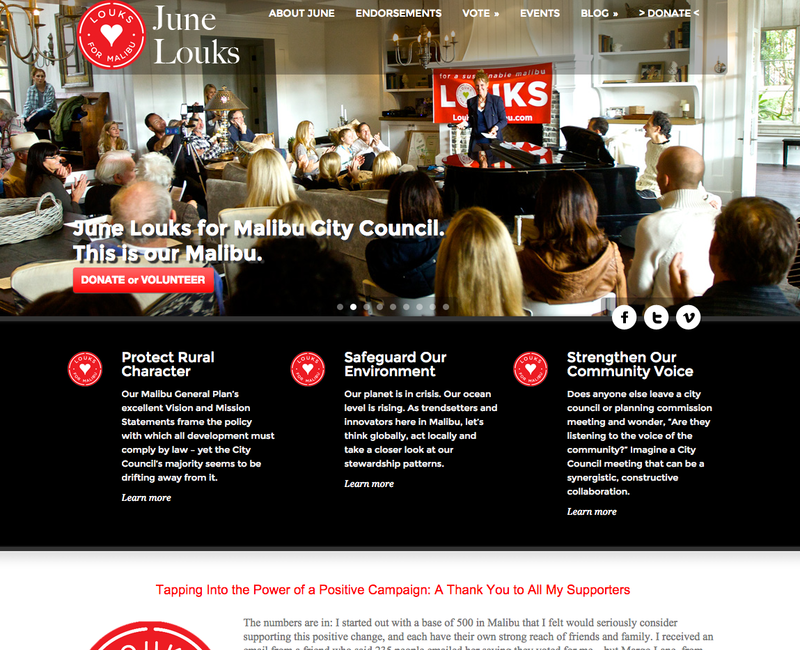 June Louks wanted a spiffy website as she decided to run against long time Malibu city council members. We implemented her a site to show off her campaign message, let people know where she would be speaking and to raise funds for her campaign. We selected a basic WordPress website so her volunteer staff could quickly make edits and add material to her constantly changing schedule.